Beethoven once said that if Napoleon knew as much about war as he knew about music, he wanted to show the French Emperor who the master really was. Beethoven's Piano Concerto No.5 in E flat opus 73: The Emperor fully reflects the composer's aspiration to be the King of Music. A short study of the historical background of any composition often eases my involvement with the musical passages and I was listening to a captivating performance of Romanian pianist Radu Lupu on his 1973 Decca recording via the Zanden 2000 premium transport alongside its matching 5000 Signature DAC at the time of this writing. 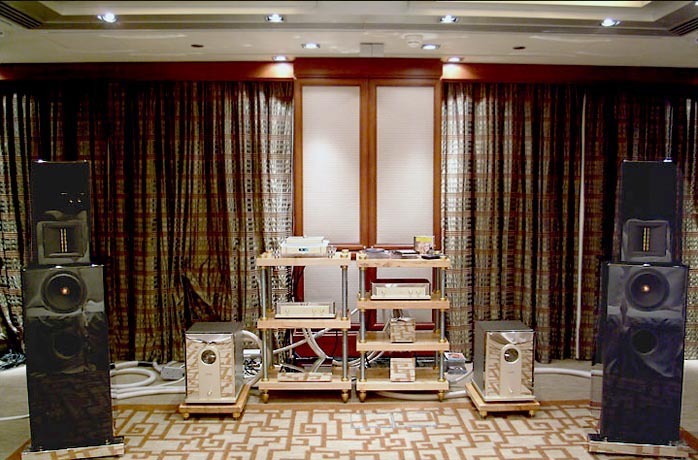 It was a true honor to have met Yamada Kazutoshi, owner and founder of Zanden Audio, during a recent Zanden Show entitled "Narrowing the Gap between Live Music and Audio Reproduction" here in Hong Kong [below]. Throughout our conversation, I came to know that his various roles as technical director, audio engineer and life concerts coordinator spanning over 500 live performances both in Jazz and Classics had him experience firsthand the enormous gap between live music and reproduced music. He could be technical but what fascinated me most was the fact that he had never worked for any of the major audio companies throughout his career. His mind could always escape the imprisonment of innovative ideas which a mechanical system of labor division tends to create. I could very much sense that the inspired process of creative freedom was still burning alive in his mind even though he is now already 53 years of age. Why do I want to play the Emperor piano concerto over the Zanden? It is because I want to give it a stringent test. This old Decca recording has long been one of my reference CDs. The audio reproduction of the piano is considered to be the most difficult in the subjective opinion of this reviewer, let alone the coexistence of an orchestral backdrop. It is no secret that the character/personality of the audio designer is often implanted somewhat on the sonic signature of his/her creations. Given my perceived impression of Yamada San as a timid and very polite gentleman, I was doubtful if the majestic theme of the Emperor concerto would be conveyed to me in an appropriately suggestive manner of grandeur. 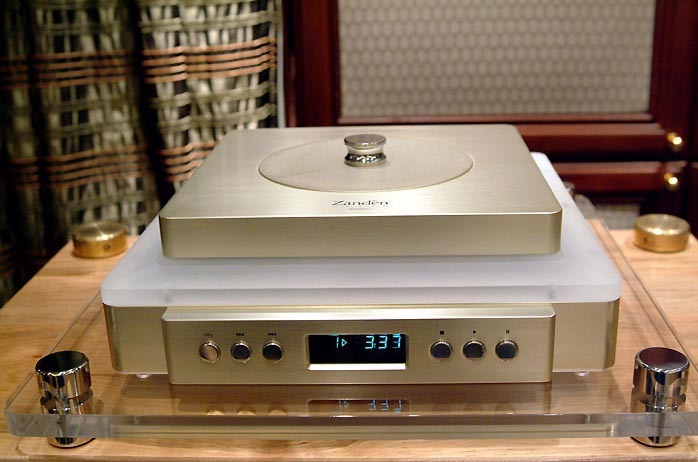 Prior to the ownership of Zanden's 2000 premium transport and 5000 signature DAC, I was completely arrested by the grandiose performance of the same CD as interpreted by the Metronome Technology Kalista CD transport partnering with the C2A DAC Signature from France. This combination interpreted the Emperor with flair and largeness of vision and purpose. Already the beginning of the passage opened with excitement. Although the string section had a slight touch of gruffness, the overall orchestra color was depicted with glistening clarity and a solid foundation of bass in spite of a slight bias favoring impact over resolution. From time to time, the presentation of bass could be a bit forward and aggressive but nevertheless instrumental in conveying a sense of authority in most orchestral pieces, especially those with a temper. As a result, the voltage of overall orchestral energy in the Emperor Piano Concerto No.5 was persistently high throughout the 1st movement, albeit by no means forceful and pressing. On the overall dimensionality front, the construction of the soundstage belonged to the top-down type rather than the bottom-up approach. The soundstage constructed by the Metronome was huge in depth and width and of proper height. The Zanden combo, on the other hand, sketches the soundstage with a natural concert hall type of balance, with good presence of sound and depth perspective. The reverberation inside the concert hall is reproduced in the most transparent manner I have ever experienced although the virtual dimension of the soundstage seems to be smaller than the grand musical theatre thrown out by the Metronome time and again. Previously buried orchestral details are now revealed with full immediacy. The instant tension of the past is translated into anticipatory tension during the first few minutes of the 1st movement. The presence of the piano as King is now stronger, which should be the case, logically speaking (in my understanding, the piano is the King, with the full set of the orchestra at his service.) The revelations of much more varied finger pressures on the keyboard thus peel back the solemn side of the King to deeply see inside the gentleness of his heart. This creates a feeling of nobility as opposed to the atmosphere of grandeur commanded by the Metronome. It seems as though the King's vision is now elongated. Some subtler musical plots illustrated by previously unnoticed nuances appear but don't compromise the masterful grand scale. The Zanden tapers dynamics of crescendo/decrescendo with ease, whereas the Metronome inflamed every crescendo with all its might until the gyrations of orchestral energy were completely spent. Last but not least is the delicacy of stringed instruments as portrayed by the Zanden. This introduces an extra dimension of finesse relative to the French counterpart. To be honest, my listening notes had me feel utterly deceived by the apparent reticence and timidness of Yamada San. I tested a few more reference discs with varying emotional intensity to see if I could aurally locate the "double helix" of Yamada San's secret personality. To my astonishment, I am constantly rewarded by an ocean of hitherto undiscovered details ranging from the opaqueness of subsonic reverberations in the concert hall to the tiniest microscopic movements of a bow striking a violin's strings that simply compound the musical connection between myself and the sounds. Most important of all, the experience is emotionally heterogeneous. The exterior composure of Yamada San's calmness is not present even when playing Beethoven's Moonlight Piano Sonata performed by Maria Joao Pires [DGG]. The Metronome, by comparison, always carried a slight trace of masculine authority into most recordings. That said, I was extremely happy with the Met and dare say that it is one of the best digital sources I've yet come across. Readers may question at this juncture how I know which presentation is right. That very question could lead to countless hours of discussions about Beethoven's personality at the time of this composition. Historical descriptions of Beethoven's heroic personality are rarely accounted for to the best of my knowledge but the composition of the Emperor was written after 1802, when he realized his hearing problem was terminal. It could be the case that his frustration and anger over his decreasing hearing ability stoked a heroic resistance inside his heart, hence the presentation of the Metronome would be more appropriate. 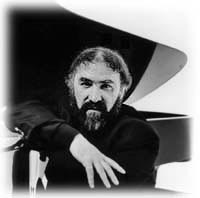 Upon further reading into the performance style of Radu Lupu, however, I have enough facts and arguments to believe that the Zanden presentation is more correct - but pardon me if I don't want to bore fellow music lovers with pages of histories. value and peer pressure. Ironically, more often than not, the collective force of such attributes may outweigh actual sound qualities. 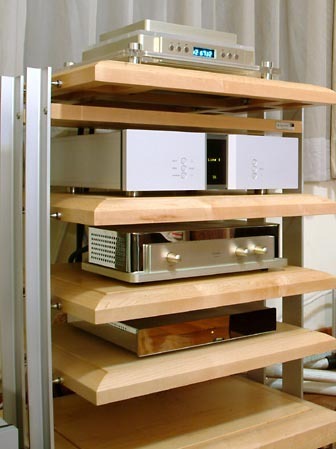 It is my innocent wish that more audiophiles will outfit themselves with new perspectives and skills for their personal search of musical utopia. I have recently exchanged e-mails with another distinguished 6moons writer, Jules Coleman. This is what he shared with me: "If I put something different into my system, I would always reconfigure my system to bring the best out in the piece that I just put in. I always treat my system as a whole. As a result, I rarely just compare A and B by throwing one thing in to replace another. When one thing replaces another, I have to find the right balance again. Then I ask whether I prefer the new balance to the old." months ago). The system balance at that time was subjectively perceived to be correct. I did quite a few cables swaps alongside with numerous speaker repositionings (helped by friends) to search for the new balance after the Metronome combo was installed. Publisher's note: Due to demand and supply, obtaining my anticipated review sample of the Zanden transport has been delayed. Hence I took the opportunity presented by Linnman's ownership of said piece to request this brief performance commentary. Hopefully it'll hold over those readers who've waited for some performance-related findings since my post CES 2004 photo report on the Model 2000P. A full-length review is still scheduled.